Ancient Athens had a large navy it used to beat the Persians at Salamis, and later to establish an empire and come to war with Sparta and its allies in the Peloponnesian Wars. Wooden ships were subject to drying and shrinking under the hot sun, water and rot and sea creatures eating the wood. The powerful triremes of Athens were no match for this combination. To preserve their navy, in addition to fortified harbors, ship sheds were built that allowed the crews to haul them out of the water and under the shade of these immense structures. 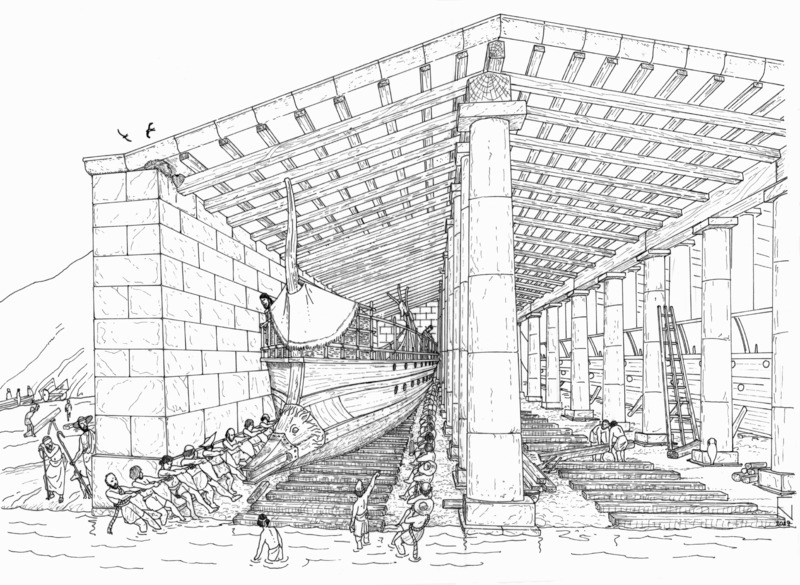 Some archaeologists have shared their findings online with a drawing of a ship shed, and a video to explain the history of Athen’s navy and the efforts to preserve it. It is both an interesting read and informative video. Anyone who runs a game that is sea based or has the occasional journey by sea can use this information to help flesh out their campaign.